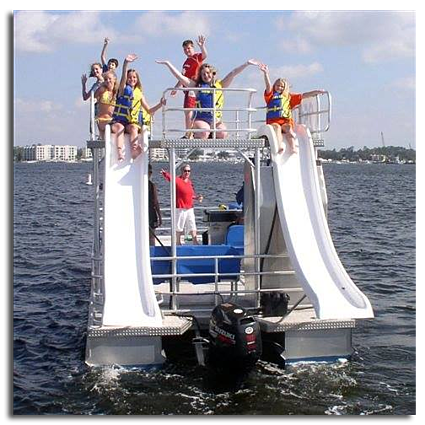 There is nothing better than enjoying the beautiful waters of Destin, Florida in a double-decker pontoon boat charter with two incredible waterslides! These pontoon boats will transform your day on the water from ordinary to spectacular. Imagine sunbathing on the upper deck or swimming in the crystal-clear water of the Florida panhandle; and when you're ready to cool off, enjoying a picnic lunch under the large shaded lower deck of your double-decker pontoon boat charter. Whether you choose to dance on the upper deck, relax to your favorite music, or make a splash off the waterslides, you will undoubtedly make life-long memories with your friends and family. The double-decker boat charters from Double Fun Pontoons feature a Bluetooth radio sound system, two waterslides, safety equipment, and lounge seating for both sunbathing and shade. Click here to check out all of the incredible features and benefits of these unique pontoon boats. Pontoon boats are available for half-day and full-day charters for maximum enjoyment. These unique boats are very popular, so check availability and reserve your day of fun today before all the boats are booked. You can find the Double Fun Pontoons boat charters at 3 different locations in Destin Florida. Discover Crab Island from a Local’s Point of View! Crab Island is a favorite destination spot for anyone visiting Destin. 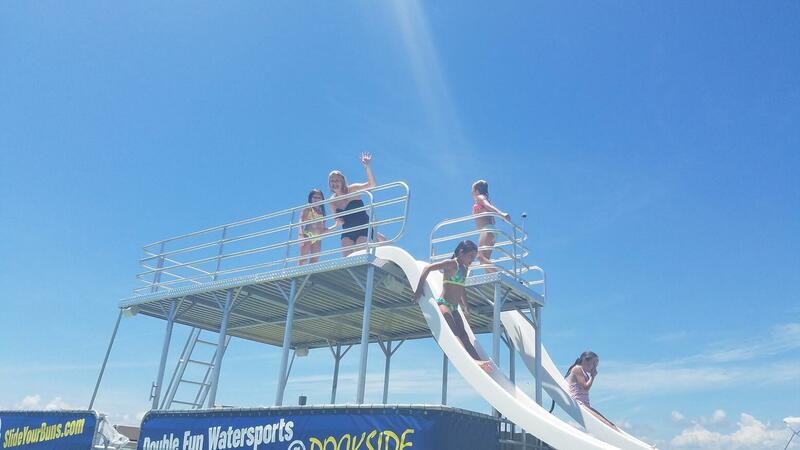 But do you really know the best way to enjoy Crab Island with your family? 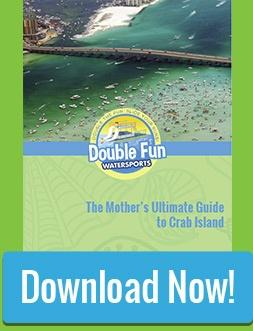 Download your personal copy of the FREE guide: “The Mother’s Ultimate Guide to Crab Island” to help navigate Crab Island from an experienced Mother’s viewpoint! From “what to pack" for the day on the water to understanding the tides, the best areas to anchor, and great things to do, this free guide gives you the inside scoop on the best way to enjoy Crab Island. Silver winner of the 2017 FINEST ON THE EMERALD COAST Readers Choice award for boat charters !